Facebook has the most sophisticated and advanced advertising platform on social media. With over two billion users worldwide, they have collected a powerful database of information about their users which allows advertisers to target ads to their ideal audience. 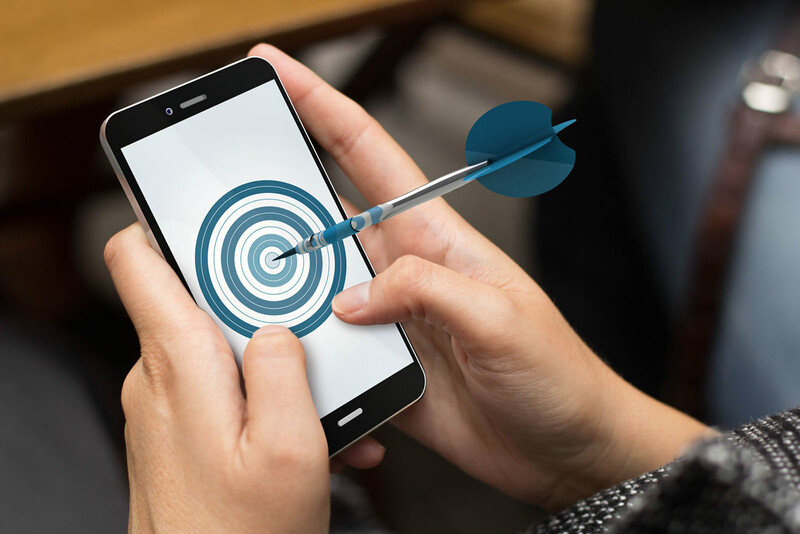 By targeting, I mean to specify the characteristics of the people they want to see their ad including demographics, interests, occupations, and location. 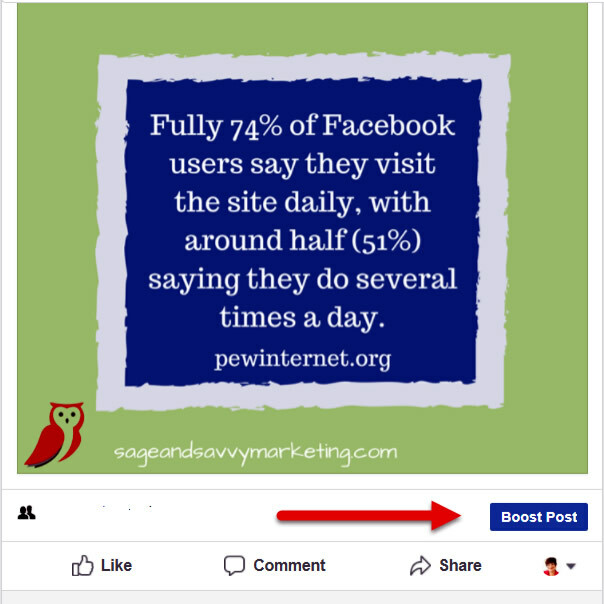 When I ask any local business owner with a Facebook Business Page if they advertise on Facebook; the answer is usually “Yes, I boost my posts.” However, there is another way to advertise that business owners need to be aware of which I will address later. These days, organic reach is difficult. When I say “organic,” I mean a post that naturally falling into somebody’s news feed. Usually, just six out of a hundred posts will show up in anyone’s news feed. If you have an engaging post (already getting good organic engagement/reach) and want more people to see it, Facebook has made it easy to press that little blue button. By boosting a post, you can set a limited target market, and increase reach in for a small investment. The bottom line for business page owners now is that you must pay to play. Facebook wants you to spend money to get more eyeballs on your ad, but the good news is that you can create a Facebook ad and it doesn’t have to cost a ton of money. You can get going with $5, $10, or $20 and do a good job at targeting your audience. The truth is there are two ways to create Facebook ads. Aside from Boosted Posts, the most powerful technique is to use the Ads Manager function. Ads Manager is a more sophisticated way to create Facebook ads. It allows you to add images, choose a goal for your ad such as engagement or website visits, create keyword rich copy, and super target your audience. So, the question presents itself- should I boost my posts or use Ads Manager? As I said earlier, most local business owners, use the boost button to advertise. However, if you are only using that boost button you are basically telling the Facebook algorithm that you are an inexperienced advertiser since you are taking the easy route. The algorithm isn’t set to give your boosted post as much reach (# of people who see your posts) as they will with one that is created in ads manager. You want them to take you seriously and your ads seriously, and you want to get the maximum reach that you can possibly get. Of course, Facebook wants you to spend money – effective ad or not. However, you are now in on the secret sauce. I’m not saying boosting is bad. It has its place, and I would say that you may want to boost 10 or 20% of your posts, but the rest of the time you want to use Ads Manager. Facebook is looking for a mix of ad techniques. Ads manager is more robust than boosting a post. There’s many more tools you can use. For instance, you can upload an email list and create an audience that goes specifically to your customers. You can also choose to create an audience that mimics the characteristics of people who are on your email list. That’s powerful. Your followers will see your message in their email, and then they see your message on Facebook. I mean, that’s amazing. That’s something you can’t do when you boost a post. Let me just step back for a second. To create an effective target audience, you must know who your ideal audience is, what they do for a living, what they like, what magazines they read, what income category they’re in. Gathering as much detail as possible about your ideal client is certainly going to help you when you are using Facebook advertising techniques. I recently created an ad in Ads Manager for a client. Its purpose was to promote a new neighborhood that’s being built locally. My client had a good sense of who the ideal audience was for this neighborhood. Thus, I was able to target demographics, what they liked to do in their spare time, and that they are likely to move. We could really get into the details of the audience we wanted to see and engage with the ad and we saw results! As a business owner, you want to get the most for your advertising investment. So, my recommendation is that you take some time and learn about Ads Manager. The truth is that it can feel complicated and daunting. If you need any help, Sage and Savvy Marketing is here to help. 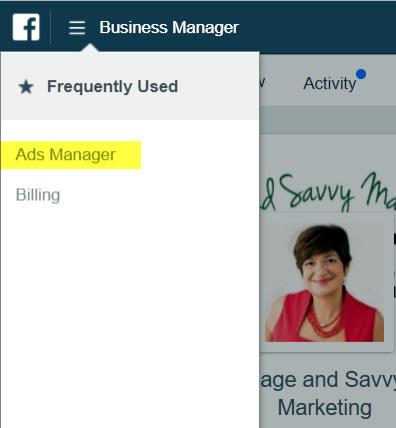 We are experts at Facebook Advertising and would be happy to walk you through the process of how to create an cost effective, successful ad in Ads Manager. Check out the video of this post!